Recent review: On time, great performance and very friendly. If they are needed, we’ll request from the restaurant. No idea but we can investigate....We we’re just thinking table side. Arriving on the music scene in the late 19th century, Mariachi Bands brought an upbeat yet traditional sound to Mexican culture. With a blend of guitars, violins, trumpets, the guitarron, and the vihuela, Mariachi music can truly liven up a party! The upbeat authentic Mexican folk music is the perfect accompaniment for wedding receptions, Cinco de Mayo parties, and so much more. 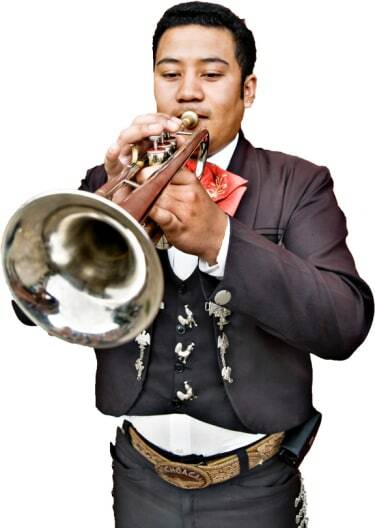 Search for Mariachi Bands in Columbia, Maryland above. Please note that these Mariachi Bands may also travel to Simpsonville, Clarksville, Fulton, Highland, Savage, Dayton, Jessup, Annapolis Junction, West Friendship, Ashton, Glenelg, Brinklow, Spencerville, Marriottsville, Glenwood, Catonsville, Woodstock, Elkridge, Burtonsville, Sandy Spring, Hanover, Halethorpe, Brookeville, Fort George G Meade, Cooksville, Windsor Mill, Harmans, Fort Meade, Olney, and Gwynn Oak.